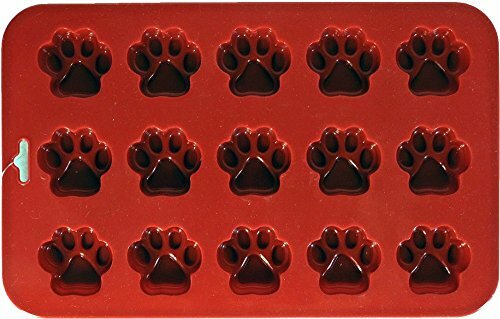 K9 CAKERY-Mini Paw Silicone Pan. This mold is great for baking; gelatin molds; candy making; and ice cubes. It features fifteen paw- shaped cavities and each cavity measures 1-1/2x1/2 inch. This package contains one 9x5-1/2 inch silicone paw pan. Imported. If you have any questions about this product by K9 Cakery, contact us by completing and submitting the form below. If you are looking for a specif part number, please include it with your message.